World Partnerships brings the New Generation of world leaders into our community every day. They meet our businesses, public officials, educators & students at all levels, our media and civil society leaders. They meet our children and our grandchildren. The US State Department IVLP exchange gives them an unfiltered opportunity to see how Americans live, work, learn and play. Since World Partnerships (and its predecessor organizations) was founded, thousands of these encounters have occurred in our communities. Every interaction between our New Generation alumni and our community is a multi-cultural educational opportunity. This is not a one-way interchange; our international alumni bring their cultures directly to our communities – their histories, arts, cuisines, and their hopes and dreams. But most important is the simple human interaction that occurs. The World becomes a smaller and more familiar place when you break bread with another culture. All of us of become much less “The Other” after even the briefest of human interaction. Stereotypes are dissolved, and bridges are built. Founded in 2008, the World Partnerships Intern Program has helped college-level students in the Tampa Bay community find their path forward in international business, finance and public policy while experiencing a unique professional network around the world. For many, their internship has allowed them to “study abroad” at home, and given them their first multi-cultural encounters. They may be inspired to learn a new language, to search for a deeper understanding of a global issue, or to “listen” to another culture. World Partnership interns have an opportunity to connect with a world they only imagined to exist. Each of them will tell you that their academic and career paths have been greatly influenced by their internships with World Partnerships. 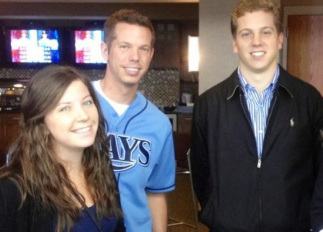 Click here for more about our intern program, and click here to meet our Intern Alumni! “World Partnerships Live” provides multi-cultural educational encounters to the “Next Generation” of global leaders, led by our New Generation alumni! 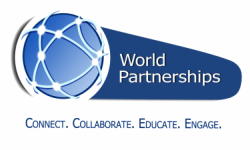 “World Partnerships Live!” is the premier globalization project of World Partnerships, in collaboration with the Pinellas Education Foundation/Stavros Institute. “World Partnerships Live!” is the first international "storefront" in the Stavros Institute’s “Enterprise Village. World Partnerships is collaborating with the Passport Services Division of the US Department of State Bureau of Consular Affairs, who supply Youth Passports for nearly 17,000 5th Graders in the Tampa Bay area. It's economic education on a global scale! Learn more here! These initiatives define the World Partnerships education mission.